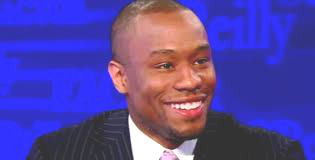 Dr. Marc Lamont Hill — one of the nation’s youngest and most visible Black intellectuals — is leaving Columbia University and is headed to Morehouse College in the fall, where he will hold the Distinguished Professorship of African-American Studies. The move by Morehouse to court Hill — a sought-after speaker and television commentator — signals a new and ambitious effort by the Atlanta-based school to aggressively compete with predominantly White institutions for young Black superstar professors. But for Hill, who spent his freshman year at Morehouse before transferring to Temple University, the decision to return to the nation’s only college for Black males is exciting and personal. The 35-year-old Philadelphia native is the author of several books including Beats, Rhymes, and Classroom Life: Hip-Hop Pedagogy and the Politics of Identity. A protégé of Dr. Michael Eric Dyson, who served on his dissertation committee while he was pursuing his Ph.D. in education at the University of Pennsylvania, Hill is an activist who has been a vocal critic of mass incarceration and a strong champion of various causes including gay rights. Before joining the faculty at Columbia’s Teachers College, he was an assistant professor at Temple. Hill said that he’s encouraged by the vision of Dr. John S. Wilson Jr., who became president of the college in 2013 after serving as executive director of the White House Initiative on Historically Black Colleges and Universities. One of the perks of being a distinguished professor at the small liberal arts college is that Hill will only teach one class each semester, allowing him time to continue his research and work as a host of HuffPost Live and BET News. He is also a political contributor for CNN, which is headquartered in Atlanta. Dr. T. Elon Dancy II, an associate professor of adult and higher education at The University of Oklahoma, said that he thrilled to see Hill decide to bring his talent and skills to a Black college. “I think this is a very big deal,” he said. “I think that the hire is going to be felt across the higher landscape. For Mac to come home to an HBCU, this move will help to inspire students. Jamal Watson can be reached at jwatson1@diverseeducation. You can follow him on Twitter @jamalericwatson.